Make learning FUN this school year with a Moby-Inspired bulletin board! We have enjoyed seeing thousands of teachers create bulletin boards to get their kids inspired, motivated, and doing the ‘happy dance’ from Day One. We would love to see your ideas, so here’s another fun monthly contest! 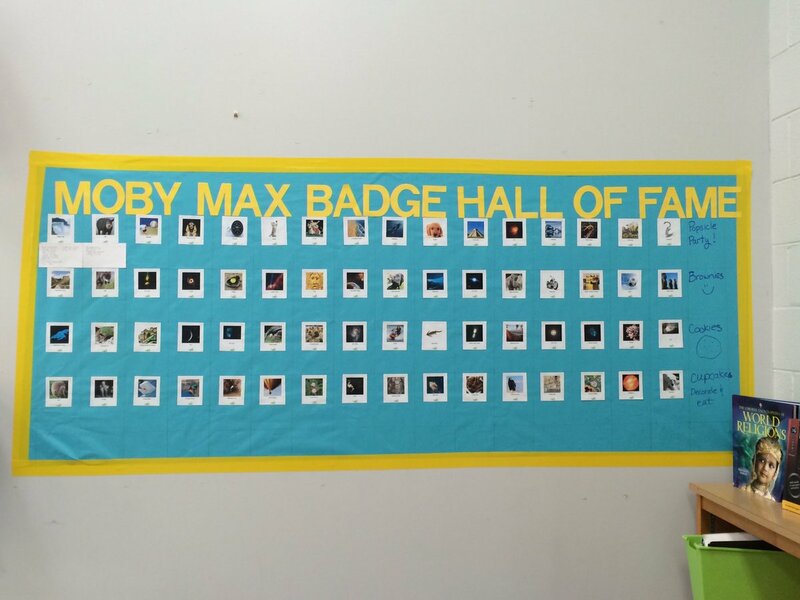 Simply post a picture of your Moby bulletin board on our Facebook page. We will also accept other creative visuals that you use to track Moby progress (like a decorated filing cabinet showing fact fluency progress or individual folder trackers.) We will select 5 winners at random on Friday, Aug 31 and another 5 winners on Friday Sept 28th. Each winner will receive a $25 Amazon gift card. What’s a Moby bulletin board? Here are a few of our favorites to get your creative juices flowing! 3. 1st Graders wear badges with pride! 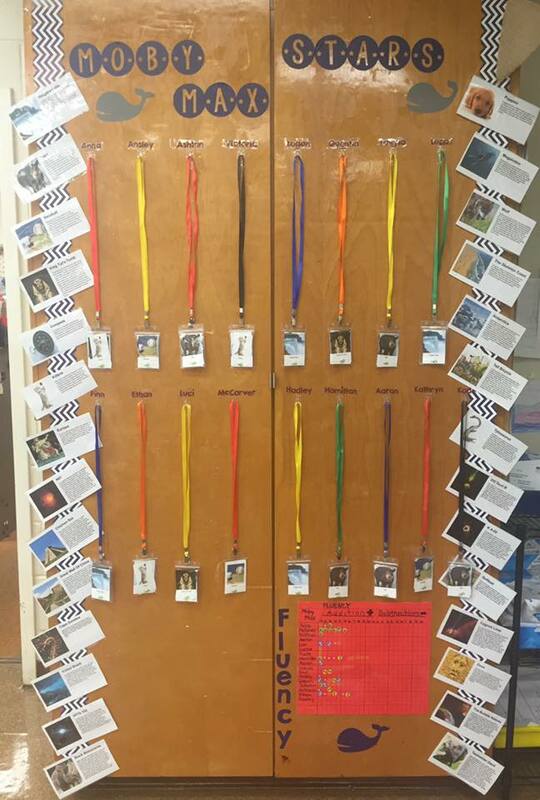 Want to see how other MobyMax teachers are using bulletin boards to build fact fluency? Take a look here. 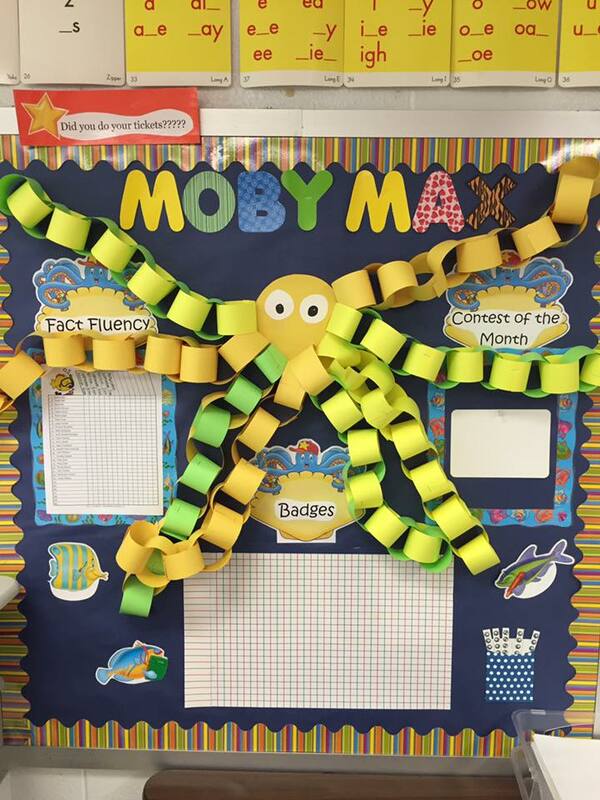 If bulletin boards aren’t your thing, you can always use MobyMax to create engaging contests. Here are some helpful pointers about holding a MobyMax contest. Don’t miss the feedback from one of our Fact Fluency contests here.